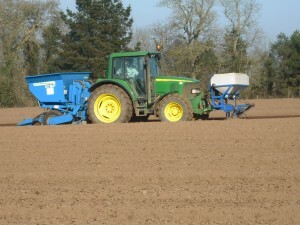 Agricola Growers Ltd was formed in 2004. It is primarily a contract farming company which differentiates itself by offering a fully flexible modern approach to today’s farming and environmental needs. 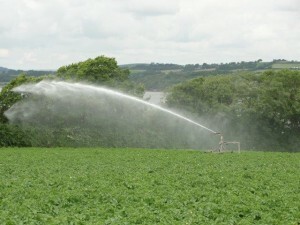 Agricola Growers Ltd currently farms 3,000 acres in mid and South East Cornwall. 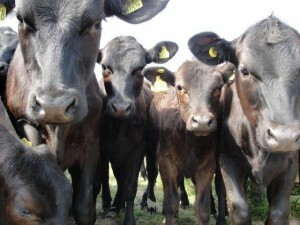 The business manages a range of crop and livestock enterprises. We now either contract farm for landowners who require some involvement in their farming activities or rent land on varying length farm business tenancies to farm in our own right. 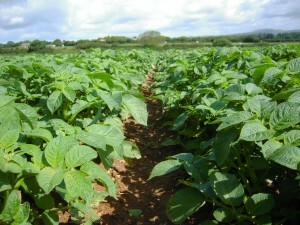 Our sister company H F Produce Ltd supplies washed, peeled and prepared potatoes and vegetables to major bakeries in the South West and is a major outlet for our produce. The land we manage covers a wide range from irrigated soils best suited to vegetables through more typical mixed cropping to permanent pasture and land of high environmental value. Our range of crop and livestock options enables us to tailor a management strategy best suited to the land in question as we recognise that farms in the South West often need a multi faceted approach. The crops we produce include a range of combinable cereals, oilseeds and protein crops. Potatoes, onions and swede are produced for prepacking and for processing. We are also producers of daffodil flowers and bulbs for supermarkets and for export. The livestock side of the business consists of a beef fattening enterprise and an April lambing mule cross sheep flock producing hoggets. Our team are also experienced in carrying out farm and estate maintenance work on areas such as gates, fences, drains and ditches and we work closely with our landowners in this respect. We recognise that our staff is one of our greatest assets and by ensuring that they have appropriate experience and the training to develop their skills we can ensure that they are up to date with modern farm equipment and technology. Our management team is BASIS and FACTS qualified as well as trained in the more advanced areas of soil and water management and biodiversity. We are experienced in the construction and management of stewardship schemes and can handle single farm payment scheme issues as well as the everyday regulatory constraints surrounding modern agriculture. We are able to offer tailored solutions for existing farmers looking for practical help, new investors looking to maximise tax benefits available by contract farming or to trustees managing estates. From our base at Antony in South East Cornwall we are well situated to cover mid and South East Cornwall as well as South Devon. Jeremy Becomes the Farmers Weekly Arable Farmer of the Year 2013! Jeremy Scoops Best Commercial Farmer Award and the Victor Ludorum! Copyright © 2019 Agricola Growers Ltd. All rights reserved.